After checking in, we went to town to dine and drink fine wines and craft beers at Faccia Luna a great resturant. The Scallops, Fresh Salmon, Sea Bass and craft beers and company made for a great evening we even were met by a famous doctor Steve. After dinner we went back to the Marriott to finish the preparations for the race checking the mighty steeds, the elixers we would take to carry us through the battle and needed parts. We quickly retired early in the evening early only to start at 3AM with a small breakfast of dried cherries and peligrino water and a quick shower etc. before heading out to the race start. So on to the race!! 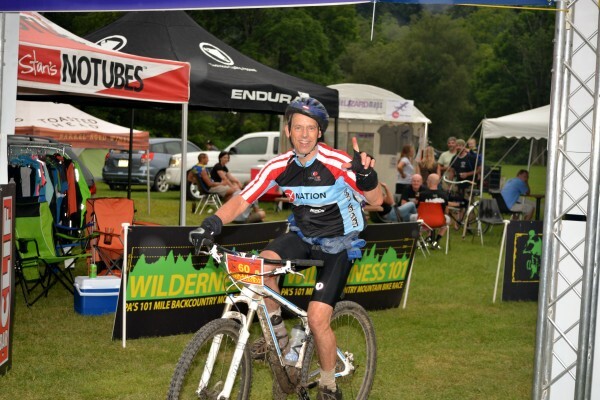 The Wilderness 101, the East Coast’s original endurance mountain bike event, offered up dominating performances from its champions in Saturday’s event. State College local Vicki Barclay (Stan’s NoTubes), men’s open NUE standout Christian Tanguy (Team CF), the amazing single speeder Gerry Pflug (Team CF) and imported masters’ racer, Finland’s Jukka Jokela (Medilaser/Silmäkirugig/Specialized) ruled their categories while all participants raved about the return of the Wilderness 101 to its central Pennsylvania roots. Promoter Chris Scott was looking for a revamp of the old course. With the hundreds of miles of choice trails and gravel roads throughout the Rothrock and Bald Eagle forests and the rediscovery of an old logging rail grade were all that was needed to craft a challenging and exciting new look to an old course. Wow it rocked me to my limit!!!! Second place single speeder, Matt Ferrari (Freeze Thaw/Hubcap Cycles) said, “The Wilderness 101 is back to a central Pennsylvania course. 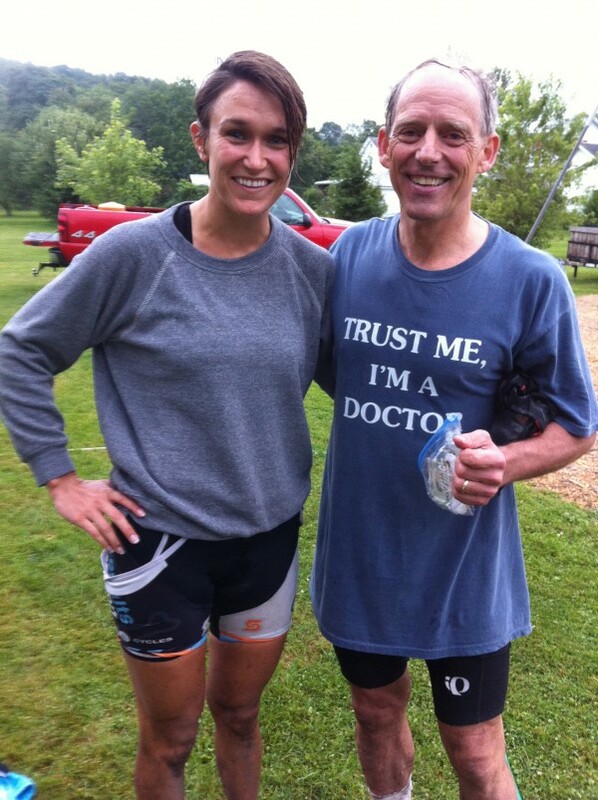 This year’s course brought it back to old school level, to classic rocks of central PA. A course has to balance tech and dirt roads and this course nailed it.” Personlly, I would say (Bob Travers) it was a little to rocky, wow the rock gardens could get you!! 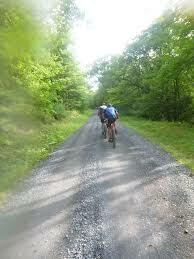 So, the Wilderness 101 is an ultra-endurance 101 mile backcountry mountain bike race. The 101 set the standard on the east coast in the early 90’s. 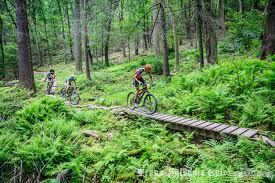 The course is one super big loop composed of some of the best off-road riding central PA has to offer in the Rothrock and Bald Eagle State Forests just outside of State College. The Community of Coburn is letting us use their park for the weekend and this is where the race started from!! There are single-track up and down hills, double track ridge riding over rock gardens, fire road climbs and a bit of pavement totaling 10,000 ft. of vertical climbing and even a tunnell below. 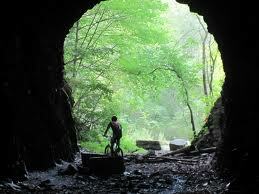 The cool tunnell above. 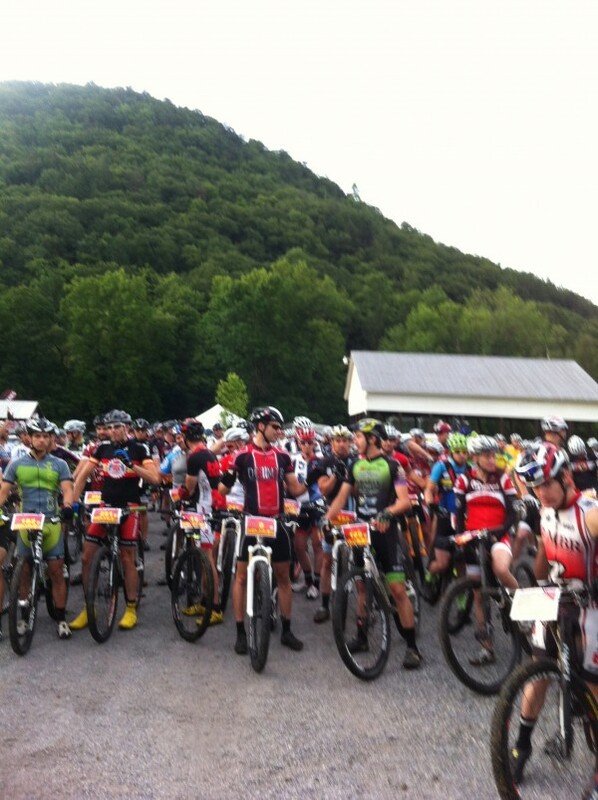 There were 5 aid stations complete with food, beverages, and support – Heed ruled the day. They offered the ability to drop bags in the beginning which would then by left at the various aid stations to be picked up by the racers. 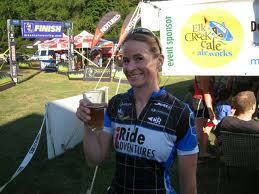 Classes are simple- Men and Women open, single speed, master and tandem. This is an ultra-endurance event, participants should be of strong body and mind and prepared for a long day of incredible mountain biking. Dude it rocked me to the core 12 hours is the saddle!!!!!! 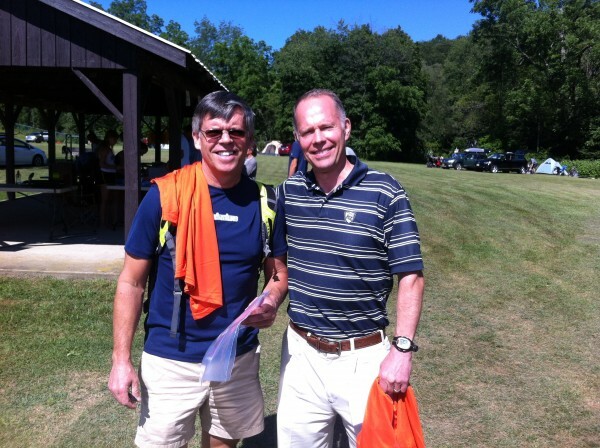 It is very similar fashion to that of the Shenandoah Mountain 100. There was a post-race barbecue on Saturday afternoon that raged on into the evening as we riders finish = awesome food, hot chicks and beer AWESOME plus we all received a commemorative pint glass.